1921	Bryan		07E2080N3830005	  General Const. 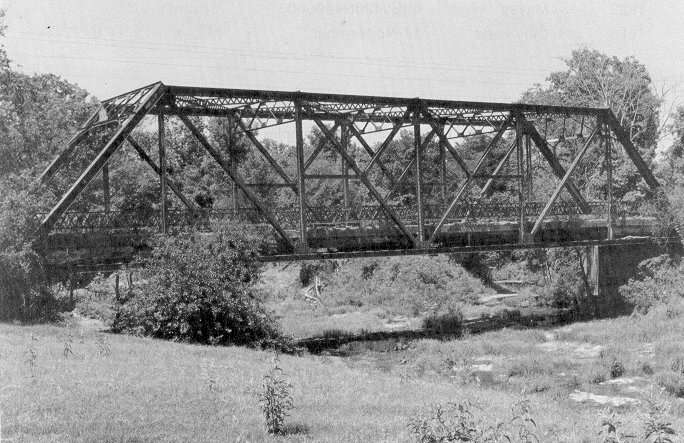 The development of standard designs by engineers within the state haghway department led to modifying the parallel chord Pratt through truss for use on principal highways with heavier and faster traffic. The modifications involved subdividing the panels to give the structure greater strength and support. These technical changes related directly to the increasing number of automobiles and trucks, the latter vehicles in Oklahoma often transportating heavy oilfield rigs and equipment. 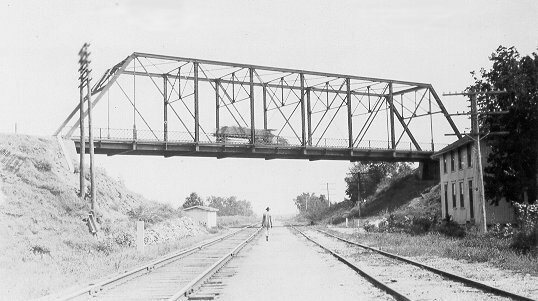 For the main state road between Bokchito nad Durant in Bryan County, highway department engineers in 1921 specified the modified Pratt, the project going to the General Construction Company of St. Louis (Figure 61). The firm, too, illustrates a trend of the 1920s. During those years the old-line, traditional bridge companies lost ground to general contractors who took on bigger projects from the state, sometimes constructing the road while simply purchasing the spans from bridge fabricators or subcontracting that part of the job. Figure 61. Bridge 07E2080N3830005 is modified Pratt through truss that spans Caddo Creek, three miles east of Bokchito in Bryan County.